Nice progress on her. She is super cute and i love her design. I do think you can cut down on your tri count. I've been working in mobile for the pass year with a tri limit of 1500 (with facial rigs) and I'm seeing a lot or areas you can save. For example the pockets on her robe don't have much of a silhouette so you can just make them a box or what I would do is just make it flat and let the texture give the illusion of dimension. You could also reduce the vertical lines going up from her top eyelid to her goggles. @Skyerzz: Thanks! I've made those changes you mentioned and will definitely be optimizing more [including the pockets] going into the final. With the new ghost arms added and more optimizations, everything is sitting under 13.5k. 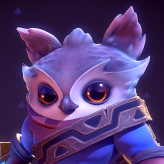 Lulu herself is currently exactly 10k tris. Spent this weekend baking maps and getting my color map up and going, which isn't quite ready for prime time. There's still some stuff I want to clean up on the staff and I need to paint the smaller chains, goggle strap, and lanterns in. Color map's still in-progress and loose, but just about everything is blocked in. 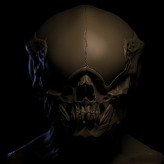 Did a quick front-view paint-over of my color map to start getting a feel for how I will approach the diffuse. Lots to do. Camera rig's almost ready to test the top-down view to get values/reads down. Still playing with how saturated/bright the hair will be. Another pass on the staff will be necessary to unify. I'm really liking how it's turning out Haze, the bake is so clean. Nice job! Textures underway. Lots of progress, lots to do. Looks great so far! Don't forget to flip the UVs on one of the eyes so the reflections match up! Hellstern and mathiastakacs -- Thanks! slosh -- Yeah, the voice in the back of my head has been bugging me about the same thing. I'll revisit the eyes in the second pass for everything. Cheers! Switched gears and started on the staff and Pix. More soon! Looks great, maybe in the end some "gradient of god" on. SorinLupu -- Thanks! I've been leaving it off for texturing and am now implementing it as I close in. Making it really apparent without darkening things too much has been tricky. Kraken: Thanks! Your entry is rockin'! Textures update -- Made quite a bit of headway. The goggles are getting serious love this weekend, and I'm planning to do another pass on their backsides as well as add noise and smaller details. I'm wondering if the over-lighting on the pack is working for or against the in-game shadow direction. Made a quick pose for the ghost arms. Toying with presentation. If all goes well I'll start up posing and final presentation soon after textures are done. 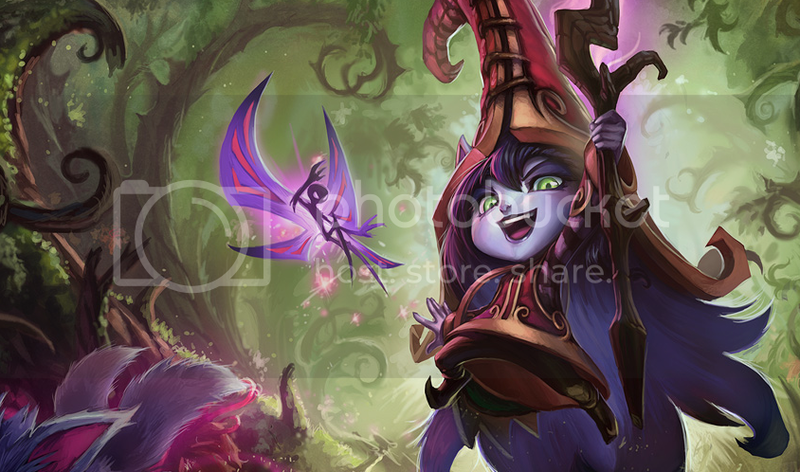 I'm making Lulu too ! I really like your idea and entry Keep it up o/ Love Pix ! Oh my, this green little fellow looks so sweet. I would love to see a vinyl toy made from this design. Awesome textures!!!! Goldo_O, Byren, beastypet -- Thanks! Kazefield Nice catch. I made the adjustment and notice a marked improvement. Bonus: her rosy cheeks and nose pop more. Cheers! Here's the latest! Outside of tweaking the lighting on the staff, polishing some texture/seam poop, final adjustments, and any critiques, I'll be moving on to the rig and final posing/presentation. Made an image update to the previous post with more polish. Starting the rig tonight! 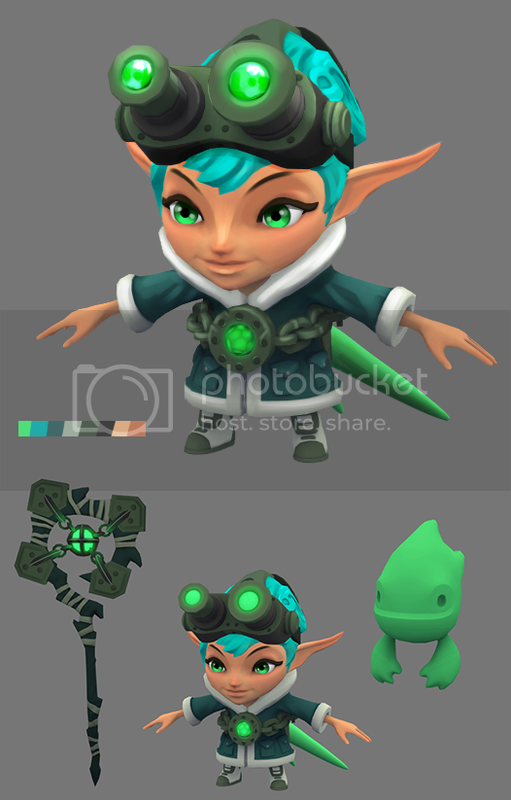 I received some really great feedback from coworkers this week and have done another texture/lighting pass on Lulu. Posing her has highlighted many of her issues and I am attacking them one by one. Not 100% there yet, but I feel she's already much stronger. Rig needs another pass on weights but we're closing in. I want to make sure the presentation is solid, so expect some changes there as well. Home stretch! These are looking like my finals outside of any last-minute tweaks. Going to wait a couple days before submitting and give my brain a rest for fresh eyes. UPDATE! With final images, and to take up less thread space. Can't get my eyes off her face! The SSS feel in your textures is amazing and her little green buddy is the cuttest thing. Fantastic work on every stage of the process! If I had to change one small thing to your presentation, I would only put the triangle count on the construction sheet. It's not as relevant on the other pictures, or at least it's a bit misleading on the HR sheet. 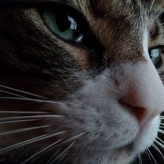 Will you make some beauty shots now? I would love to see more Congrats man, beautiful work!!! Squals, Hellstern, Byren, x12o, clausmartens -- Cheers! I want to tell a story of sorts as often as possible with final work, so I've done a few more renders with a direction for the two characters to interact a bit. Finding good compositions that will work well grouped up for one shot has been a challenge... Not sure how many images we can include, but at least it is fun for the thread. UPDATE! I refined the first story shot and fixed some rig oddness. Great presentation, she turned out fantastic! Congrats! Aw, this is so cool! Great job! This looks awesome!!! One of my favs so far. Random question... where is everyone getting the logos from? artquest -- Thanks! I actually Google-image-searched mine, make sure you search specifically for transparent and high-resolution png files. Thanks JRancourt and Bobo! Honored! 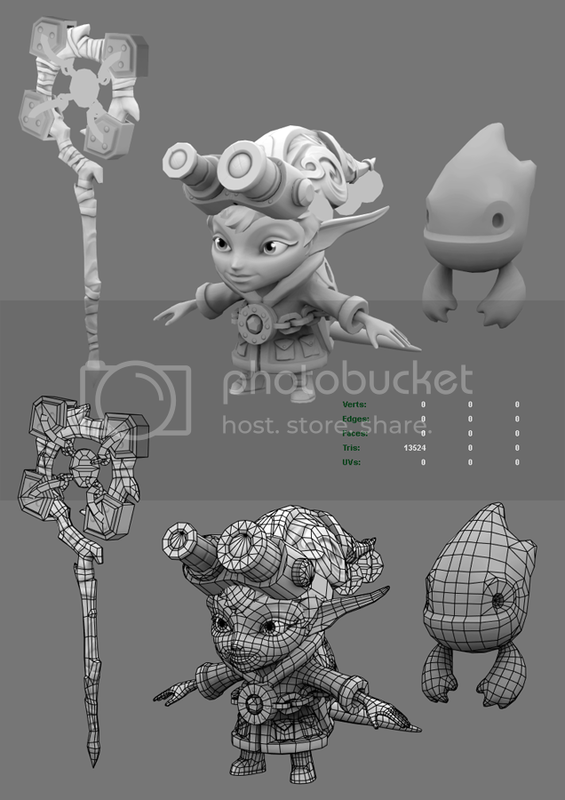 I updated my images and Sketchfab embed on this page to reflect a bunch of polish. Mostly rig cleanup and pose refinements. I'll be submitting tomorrow, bar any natural disaster befalling us. Cheers! Soooooo cute! I really like the colors. Great job! This one is really cool! 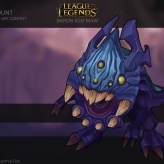 Is there by any chance you can use this in-game? Like how they install/use mods?? 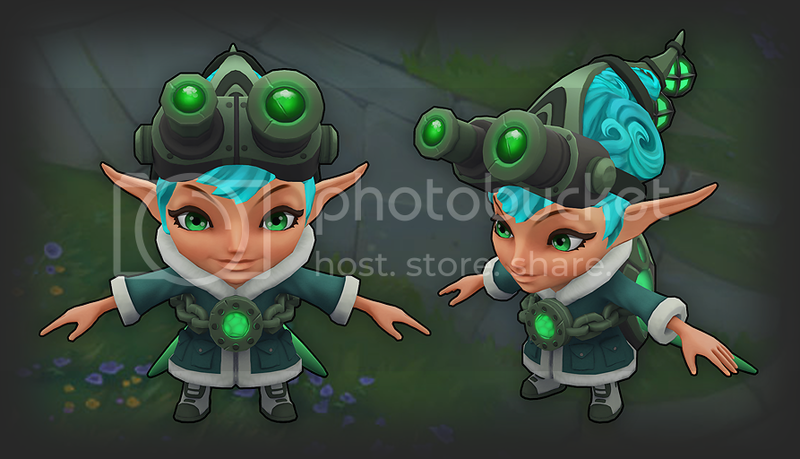 Creating a new skin for Lulu, with a ghost hunter theme. Concept in-progress.